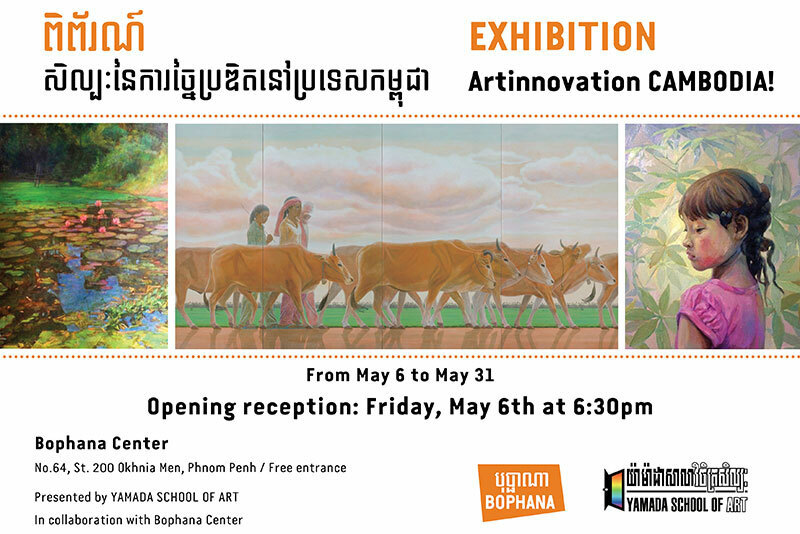 An exhibition of paintings, objects and sculpture by 8 Cambodian artists led by Japanese artist Takakazu Yamada. Since his first visit to Cambodia in 1994, Yamada has been committed to Cambodian arts. In 2007, he started teaching at Royal University of Fine Arts and also in Yamada School of Art , which he established in Phnom Penh. Since then, he has been working with homegrown artists to contribute to the development of local arts. Today, many of those young artists are recognized in Cambodia as well as on the international art scene. In this exhibition, the artists showcase their latest innovative works together with those of Yamada.